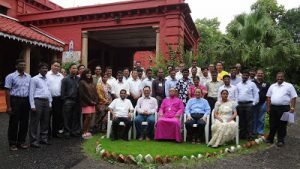 NCCI – Commission on Unity, Mission and Evangelism on the request from Indian Missions Association (IMA) organized 3 days ‘Legal Literacy and Training Programme for the Mission Leaders and Mission Workers. 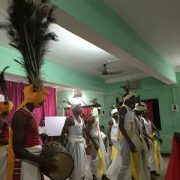 There were 35 Mission Leaders and Mission Staff including 3 women from 18 Mission Organization from all over India representing 7 language groups. It was a first time experience for the participants in working with NCCI. opening up a thought process to systematically and critically scan the context from socio-political and religious perspectives. 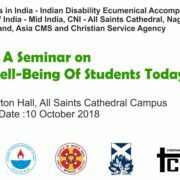 enhancing knowledge about Indian Constitution and Rights of the (Christian) Minorities. imparting basic legal knowledge to handle the crises at the grass-roots contexts. sensitizing the participants with a code of conduct for grass-roots mission workers in a multi-faith context. With inputs from legal experts, academicians and mission practitioners, the following sessions were taken: ‘A Relevant Missiology for India Today’, ‘Skills to Scan the Present Indian Contexts’, ‘Indian Mission Challenges’, ‘Persecution and Human Rights’, ‘Minority (Christian) Rights’, ‘Code of Conduct for Grass-root Mission Workers’, ‘Legal Proceeding and Technicalities’, ‘Practical Session on Drafting Complaints and Filing FIR’, ‘Grass-roots Mission Strategies’, ‘Conversion from Dalit Perspective’, ‘Documentation’ and ‘Communication and Building Net-works’. There were biblical theological reflections on ‘Precaution, Spirituality and Citizenship’ and on ‘Unchanging Gospel in Changing Context’. The Rt. Rev. 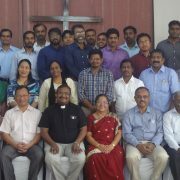 Paul Dupare, CNI Bishop in Nagpur, inaugurated the training. 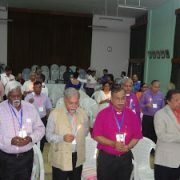 While greeting the participants, Bishop asserted that this programme is timely and important. Legal literacy is essential for all Christians, churches, mission leaders and partners, he said. Rev. 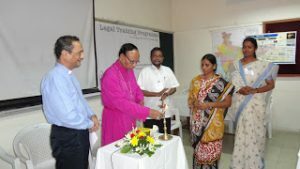 Dr. Roger Gaikwad, Rev. Dr. Wati Longkumer, Rev. Madhu Chandra, Adv. Vipin Bower, Adv. Angel, Rev. Caesar David, Rev. Dr. D B Kulothungan, Prof. Dr. Parag Paradkar, Pas. John Joseph and Adv. Rev. Christopher Rajkumar served as resource persons and facilitators. … to neither condemn nor criticize people of other faiths, while presenting the gospel. Indeed this was a new learning experience for all the participants. It has been suggested to organize similar training all over India. 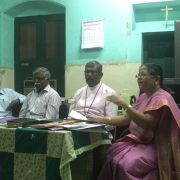 Press Release - Tamilnadu Churches Commemorating the 500 Years of Reformation. Indian Mission Movements Called to Minister among Cyber Natives!